Volunteering for the Hour of Code program offered by Code.org for a second time in a row! 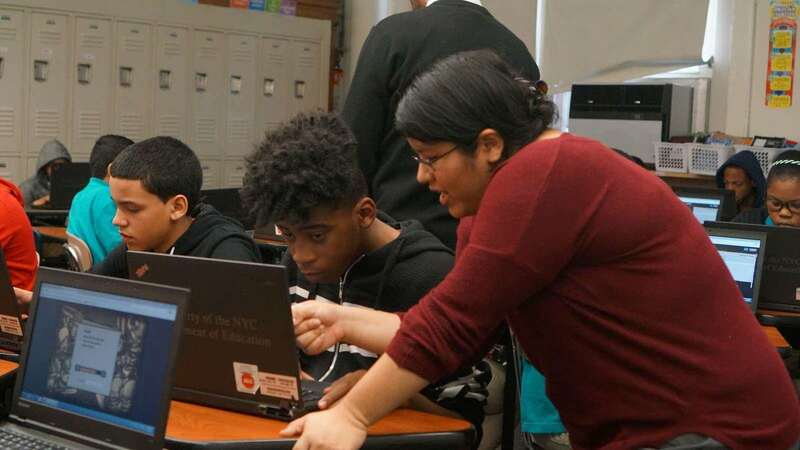 Volunteered at the urban Assembly Academy for Future Leaders in Harlem, NY through the Hour of Code program & ELiTE Education’s CS Week of 2016. Helped out middle school students in their CodeCombat lessons and gave a presentation to middle school girls on why they should learn to code.